At this point, the NFPA standards council should have issued NFPA 13-2016. As part of the last phase in the revision cycle, the standard went before NFPA membership for approval at the June 2015 NFPA Conference & Expo in Chicago. Assuming approval of the second draft document, here is a look at a few of the changes that we will see in the 2016 edition of NFPA 13. Refer to an article recently published in “NFPA Journal” titled Big + Bigger, written by Jesse Roman, for additional information on the topics below. Commodity classification: A significant change involves a complete revision to the long-standing commodity classification tables in the Chapter 5 Annex. While the commodity classes (i.e., Class I-IV and Group A-C plastics) in Chapter 5 have not changed, the examples of the various commodities classes in the Chapter 5 Annex tables have been updated to reflect what is being stored in the modern-day storage facility. The driver for the change was to recognize that, over the years, materials have evolved from wood- and metal-based to plastics, which represents significant changes to the building fuel load. This is an important change in that users of the standard who design or evaluate warehouse sprinkler systems often refer to the commodity class examples contained in the tables to determine a suitable sprinkler protection scheme. Exposed expanded Group A plastics: A new protection scheme for exposed expanded Group A plastics in racks has been added in Chapter 17. Exposed expanded Group A plastics present a unique fire challenge in that the products have extremely high heat-release rates, are stored exposed (as opposed to in cardboard packaging that helps retard fire growth when wetted), and are common in today’s marketplace. Driven primarily by the NFPA Fire Protection Research Foundation project findings, the new protection scheme centers on the use of a specific ceiling sprinkler in combination with vertical fire barriers within the racking system. As past editions of the standard have not included a protection scheme for exposed expanded Group A plastics, the new protection scheme in the 2016 edition should be a good addition to the standard. Metric conversions: In recognition of the ever-increasing global application of the standard, metric units have been revised to more accurately reflect the metric nominal pipe sizes and measurements used abroad. The intent of the change was to make the standard more usable for those who apply the metric systems, as well as to provide values that are in alignment with products available for use in sprinkler systems, such as pipe diameters. Drop-out ceilings: Drop-out ceilings are a suspended ceiling system consisting of panels that are heat-sensitive and fall when exposed to heat. Sprinklers have been traditionally located above the panels, so when the panels fall, the sprinkler activation or sprinkler discharge is unaffected by the panel. 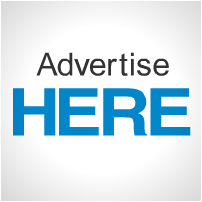 The requirements for drop-out ceilings have been expanded to permit specific ceiling materials referred to as membrane products. Certain membrane products have been designed and tested so that the seams fail early enough in the fire growth as to not affect the sprinkler activation or discharge, much the same as drop-out ceilings. Sprinkler-protected glazing: Building code officials have historically permitted the use of sprinkler-protected glazing in various building locations such as atriums and exterior walls. 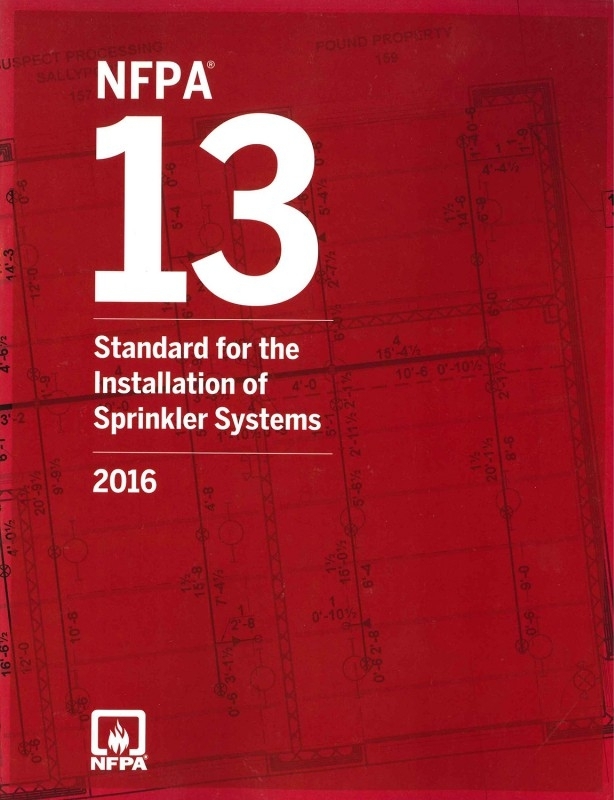 However, previous editions of NFPA 13 have not provided installation criteria for such sprinkler systems. 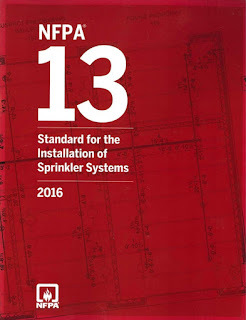 The 2016 edition now contains prescriptive criteria for sprinklers used in combination with glazing as an alternative to a required fire-rated wall or window assembly. These are just a sampling of some of the changes within NFPA 13-2016. While in some project cases it may be some time before the 2016 edition of NFPA 13 will be applied, it is important for users of the standard to be aware of the current trends and criteria. 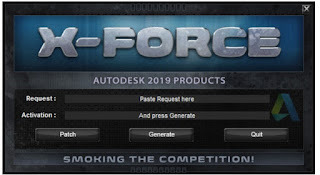 In the case of the 2016 edition, having knowledge of the new commodity classifications or cloud ceiling criteria may benefit a given project, as will the knowledge of the change in metric conversions for those projects employing the metric system. In such cases, the authority having jurisdiction should be consulted to ensure that the new criteria will be accepted.